The only thing worse than a gray, cloudy day is a day starting out with cloudy-looking GRAY HAIR! 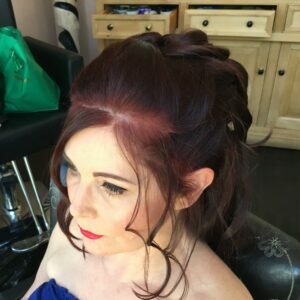 But when it comes to coloring that gray and making it go away, you really want a hair care specialist who can give you that authentically youthful look you want. You need the right hair-color products and an expert stylist who knows what they’re doing to makes those grays go away. In a pinch though, here are four important tips to remember. To color gray hair, one option is to use a permanent hair color. FRAMESI’S NN SERIES is an excellent way to go. It’s specially formulated to cover 100% of that gray and comes in a variety of shades. Blonde hair, brown hair, black hair or red, Framesi’s covers them all. From their line, you can easily find your own personal best match. Whether your hair is a super-light blonde or closer to a deep brunette hue, Framesi’s has the perfect match for you. Let’s say yours is a lighter hair color. 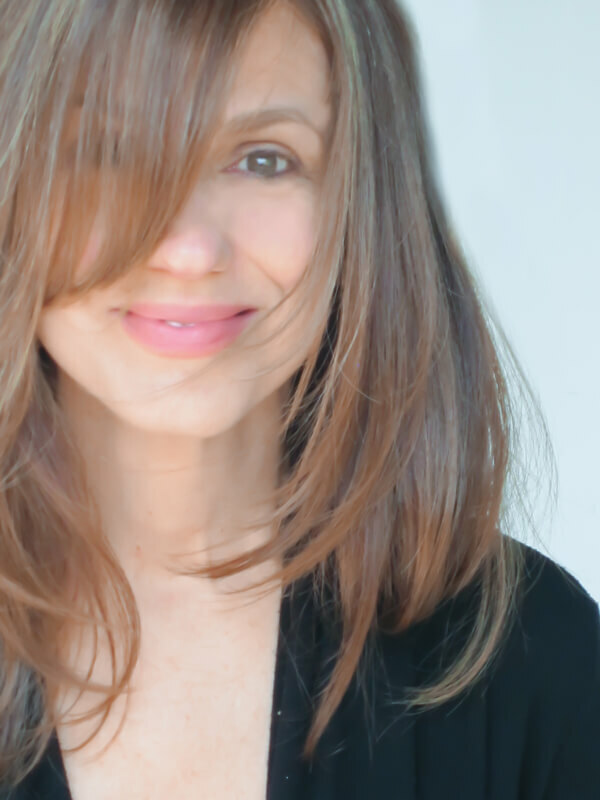 You can beat the graying effect of your lighter locks by having your hair-color professional add highlights to your color. Those strategic highlights will give you a more fun, natural look. Your hair color, that is. You want to look younger? (Hey, who doesn’t?) Then keep in mind that very dark hair color, especially black, tends to intensify the appearance of and draw attention to fine lines and wrinkles. (And I know you don’t want that.) Here’s a neat little solution. Rather than trying to to match your current hair color exactly, especially if your hair is naturally dark, try a permanent hair color that’s one or two shades lighter. This little secret will not only help your hair look brighter, but your spirits will be brighter, too. You’ll get a more naturally youthful look, all the way round. Even those people who’re most diligent with dyeing their hair, chances are, those sneaky gray hairs have been caught peeking though their roots from time to time. (Not a pretty picture, is it?) One day, your hair may look flawless and the next? Those gray roots may look an inch long. (And we can’t have that.) When that happens and you don’t have time to color your hair again for a few days, but don’t want your gray hair on display, don’t panic. It doesn’t mean you have to hide your locks beneath a hat all day. All you need for an easy fix is a temporary root cover-up spray. L’Oreal Paris Magic Root Cover Up will save the day. Spray it directly onto new hair growth and just partway through the length of your hair, to blend in. Once those roots are covered, your little camouflaging secret will last through your next shampoo. Be sure to stock up on your favorite boxed color because when those gray roots start to show, you sure don’t want to be showing them off. These were just a few tips to help keep your gray…at bay. A few gray-covering tips you can do at home. But remember, to get the best effect at covering that gray hair, do make an appointment to see your hair color specialist. That would be me. I’m ready to make your own gray, gray...GO AWAY. Oh, ammonia! It may be fine for cleaning-up around your house but not for your hair. 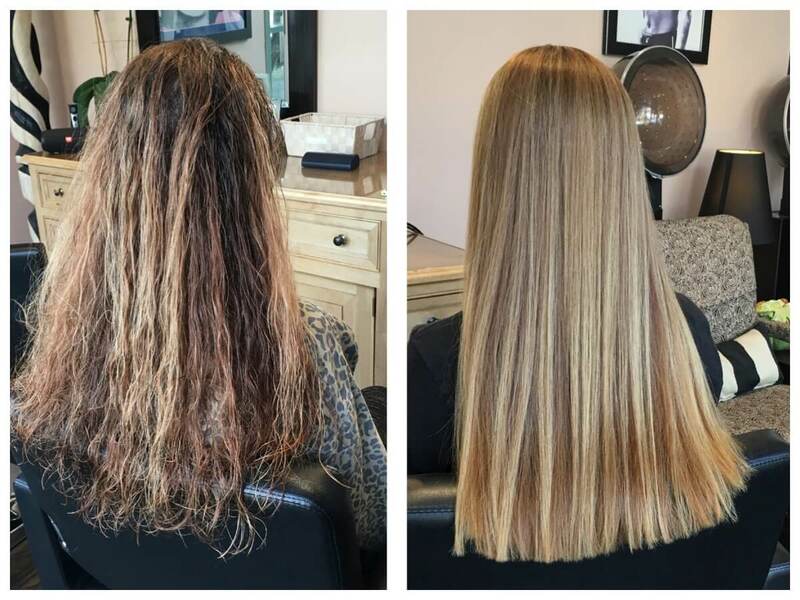 The time has come for ammonia-free hair color and you’ve come to the right place to find out about why that’s so important. O&M CØR.color is the next generation in ammonia-free hair color. They call it CØR because clean color is at the core of what makes their hair-color line better for your hair’s strength and good health. This new hair-coloring technique didn’t just come about overnight. It took years of research, along with real-life in-salon testing to make coloring your hair such a clean, ammonia-free and risk-free process. O&M wanted to make sure they got it right with CØR.color. Their revolutionary new system guarantees super coverage of graying hair, while minimizing scalp irritation. How’d they do it? Well, it took some doing but but I’m really impressed with the way they pulled it off. For starters, O&M removed the common scalp-irritating ingredients that were once common in so many hair-coloring products of the past. The biggest culprit? It was ammonia. From the CØR line, the ammonia is gone! But they didn’t stop there. CØR.color uses no PPDs, no Resorcinol, no Gluten or soy, and no animal-product ingredients, either. That’s right, O&M CØR.color is good for your hair and for the environment. 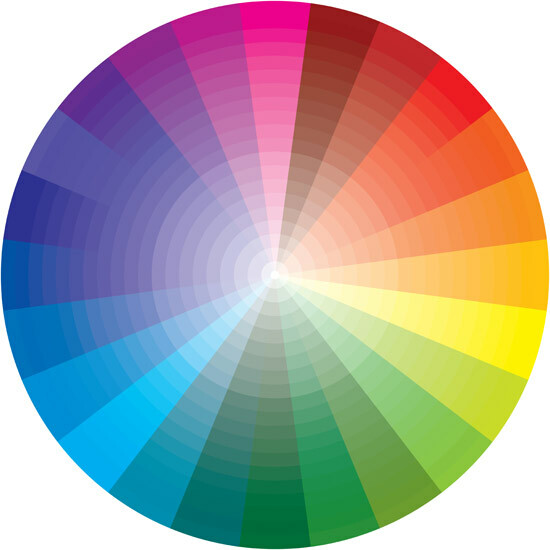 I’m thrilled to be adding the CØR.color line to my color palette at the salon. In fact, I’ve used it on a few of my clients and, I’m happy to say, RAVE reviews are already coming in. Reviews like these. 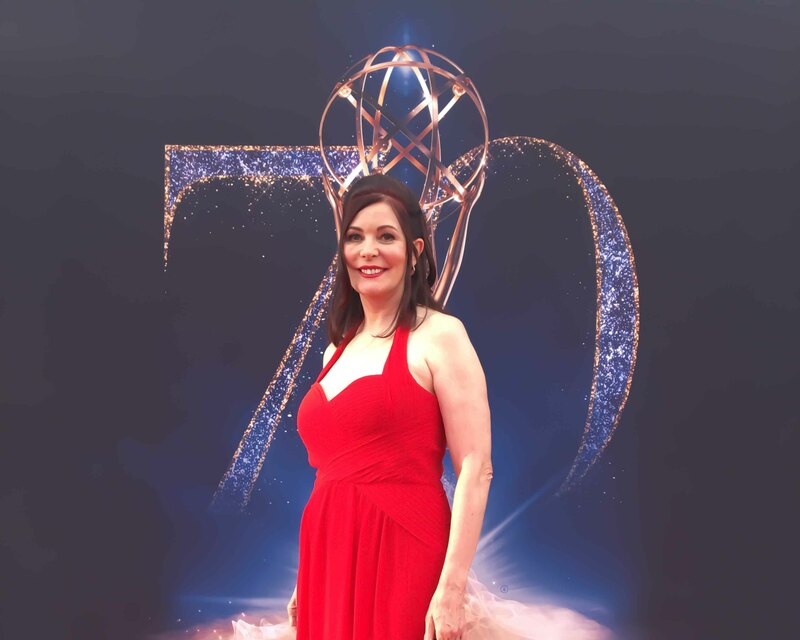 M. Popkin Kline says, “I’ve never had hair-color cover 101% of my grey, and give my hair so much vibrancy, while keeping it smooth-to-the-touch, looking really healthy and shiny!” D. F. confesses she’s been allergic to just about everything. She’d not been able to find a hair-color system that didn’t literally make her sick. 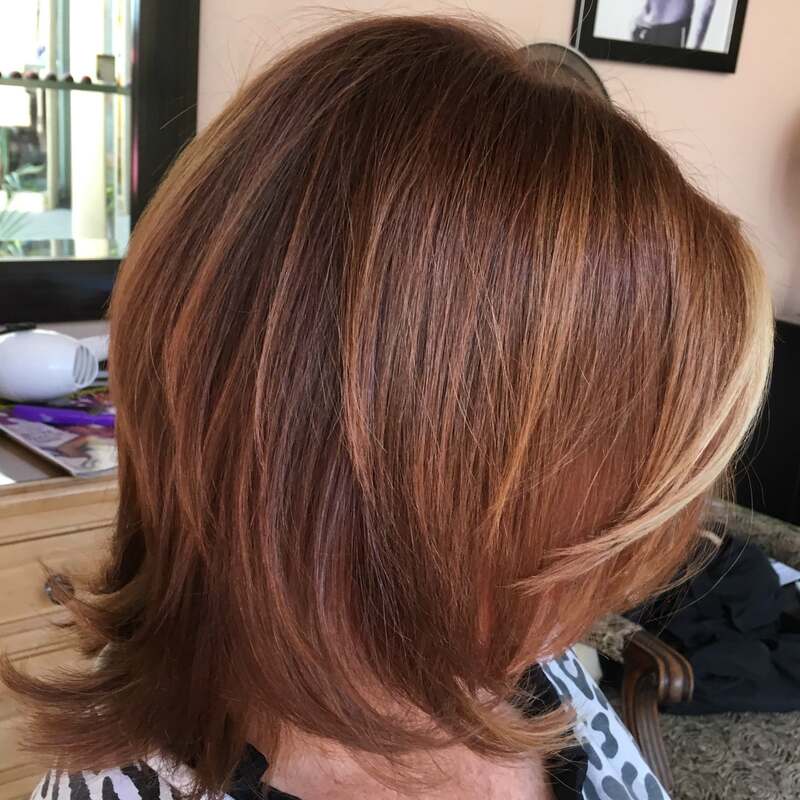 She’s a true believer now and is happy to say, CØR.color was the color system that saved her hair! When it comes to coloring your hair, these days, it’s all about CLEAN! Consumers are constantly looking for pure, more natural, high performance hair-care products, giving you clean, ammonia-free color. Well, they can stop looking. Out with the ammonia! CØR.color really is the clean, irritant-free answer to those hair-coloring problems you may have had in the past. You won’t find O&M CØR.color line just anywhere. But you can find it when you visit me at the salon. So come on in and let me show you the clean, ammonia-free solution to coloring your hair! “find” in Google. That being said, how do I pick the right one? One way to find the right place for you is to check out the website first. But sometimes that doesn’t say enough about the salon or the people and services being offered there. I always recommend calling the salon and speaking to a hairstylist personally. If the hairstylist is willing to speak to you and take the time to find out your preferences or concerns, you’re at the right place. “find” will usually take more time and have a more seasoned hairstylists that will almost always take more time with you. 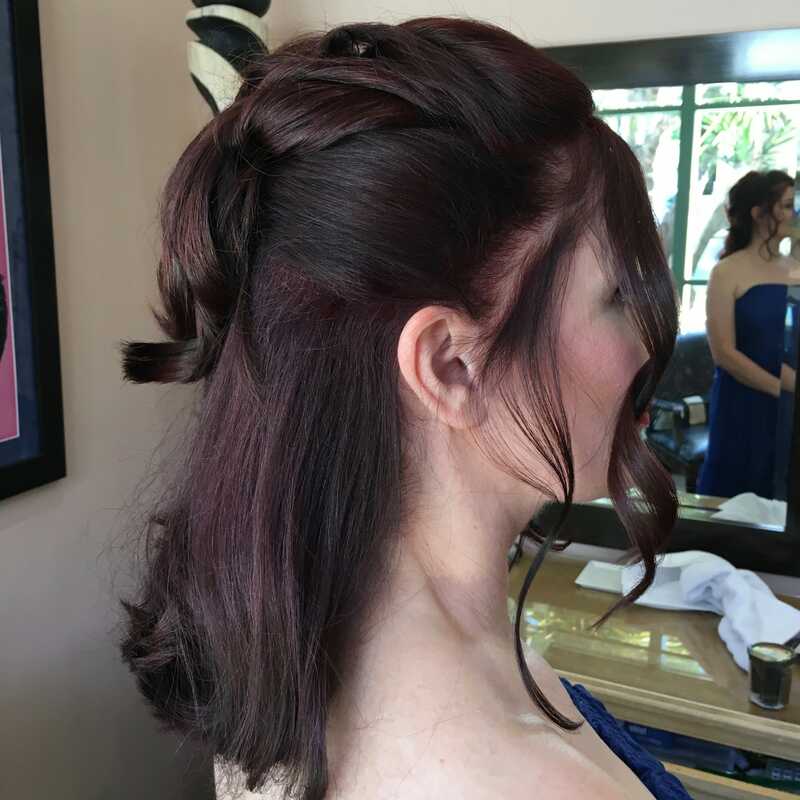 These boutique salons in the Sherman Oaks salons near me “find” are usually a little pricier than places that rank higher such as Fantastic Sams, Howard Kurtz, Envy Salon, Serenity Salon or even the Onyx Salon in Sherman Oaks. But, don’t be fooled into thinking because a salon is at the top that it’s going to be the sure best thing. MJ Hair Designs prides itself on taking the time. Michael Joseph at MJ Hair Designs is now specializing in organic color, formaldehyde free keratin and some of the most cutting edge techniques he brings with hime from the trade shows from all over the world. Michael will certainly take the time. Take the time and call and ask to speak to Michael about what you need. 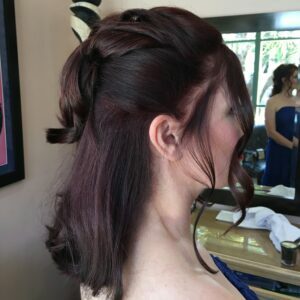 He is one of the leading hairstylists in Sherman Oaks and Los Angeles. 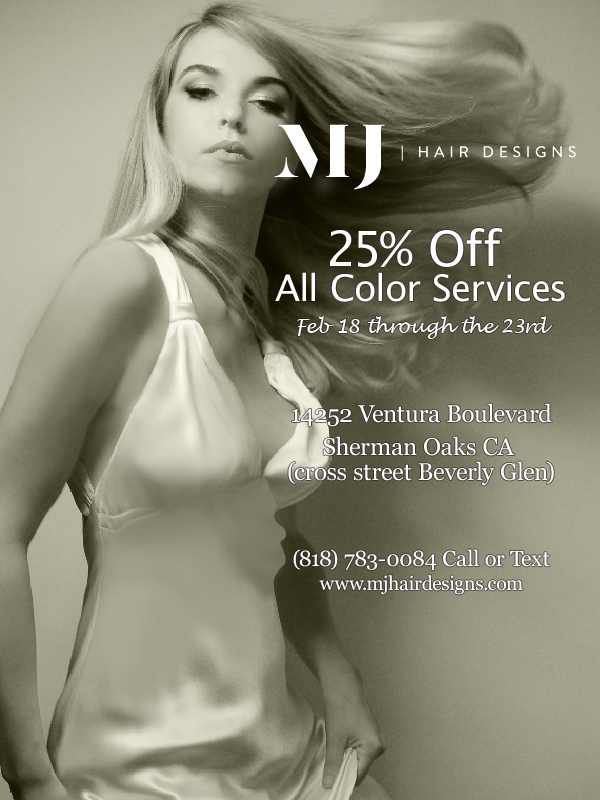 So the next time you look up Sherman Oaks Salons Near Me, look up Michael at MJ Hair Designs. Don’t take you scalp for granted. Want those gorgeous locks on your head to look their healthiest and shiniest? Well, believe it or not, it really does begin with a healthy scalp. MICHAEL, of MJ Hair Deisgns, has added an exciting new service to his menu. The Scalp Treatment & Massage using FURTERER’S ASTERA FRESH ESSENTIAL OILS. Beautiful hair grows on a healthy scalp, that’s the Rene Furterer brand’s philosophy. (And I couldn’t have said it better myself.) Formulated with essential oils and plant extracts, Furterer hair care products combine effectiveness and real sensory pleasure. Rare and infinitely precious essential oils are the quintessence of plants, offering a natural, healthy boost to your hair’s strength. Even after the first use, you’ll notice the difference in your hair’s look and feel. Not to mention a treat for your senses, as Futerer’s products are known for their efficiency and delightful aromatic qualities. Maintaining your scalp may seem easy enough but it really does require a little extra attention. Your scalp deserves that extra TLC. To make sure your own scalp is as healthy as it can be requires a variety of steps, and sometimes personalized treatments. Doing it the right way will go a long way toward keeping your hair looking fabulous, at any age. healthy scalp and healthy hair,?h4> can be achieved, using these treatments. They’re similar to skin-exfoliation. A scalp detox involves applying cleansing ingredients with essential oils, drawing out impurities, as it restores shine and vibrancy to your hair. While this purification should be performed year-round, it’s especially important during the warmer summer months when sebum production peaks and your scalp is often coated with residue from using a sunscreen. Salt water from the ocean and chlorine from swimming pools can also negatively affect the health of your scalp and hair. Maybe I can say it better this way. Your healthy hair BEGINS with your healthy scalp. Let me help you have both. 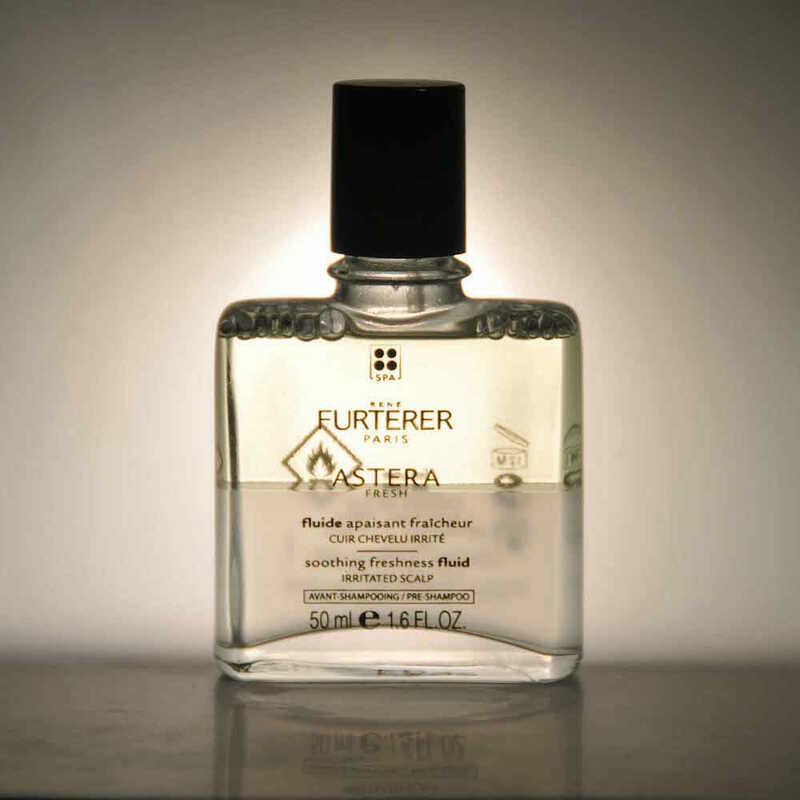 Furterer’s Atera Fresh essential oils and me can help you have both! HOW SAFE is Paraphenylenediamine or PPD? I’ve seen the integrity of some of those products degrade dramatically over the years. For more than 100 years, para-phenylenediamine (PPD) and related products have been the main agents in today’s permanent hair-dyes. PPD and its associated hair-dyes is they sometimes cause allergic reactions and allergies. In fact, during the 20th century, allergic reactions to PPD enhanced products became such a serious issue that it was banned altogether from hair-dyes in Germany, France and Sweden. Currently, legislation from the European Union allows PPD to compromise up to 6% of hair- dyes used in the consumer market. Why is all this important? Well, a patient with contact allergy to a hair-dye may end-up with an outbreak of dermatitis on the face or around the hair line. Even more severe allergic reactions may also occur. Especially among younger people, hair-dyes, in a variety of wild colors has become oh-so-very hip. Even more concerning is that female high school or college-age students are dyeing their hair at shorter intervals, increasing their risk for allergic reactions. In the U.S.A., the number of young men dyeing their hair has increased by as much as 25%! That’s a whole lot of hair-dye being sold. One leading Japanese company saw its own hair-dye sales more than double in a ten-year period. I care about you, and of course...your healthy hair. That’s why I use only the finest international hair-care products on my clients who want to see how great they look with a new hair color or maybe even just some fun streaks. I make sure the hair-color products I use are always organic, PPD-free, ammonia-free and also environmentally-friendly. Plus, before using any of these products, I try them at home on myself first, to make sure they are toxin-free and good for my own hair, before I use it on yours. To dye your hair or not to dye? That depends on the hair-dye product used. Thinking about coloring your hair? Let me show you how to do it the best and safest way. NO PPD for me and certainly not for you. We all want our hair to look its best, but that doesn’t mean having to risk some nasty allergy that will end up making you feel your worst. I take the guesswork out of deciding which dyeing method and products are best for you!